Mix ‘n Blend producer and ripping saxophonist, Jonathan Arnold, started out playing sax and clarinet throughout school, before packing that in for a while and messing around with turntables and sequencers. He’s a complete nerd, developing software for a living – but what most people wouldn’t guess, is that the dude lives to surf. The Cape Town based, double SAMA (South African Music Award) nominated Mix ‘n Blend will be hitting Durban this May to take advantage of the warm waves and the stage at Zakifo – Durban’s most diverse international music festival happening just a few foamies away from the beachfront. “These are some of the only photo’s anyone has of me attempting to surf…” confesses Jono, the humble Grahamstown born and bred muso, before rambling on about hardrives and cars regularly being jacked. He might not have too much luck on land, but in the surf, he appears to have a pretty decent amount. Zigzag: Let’s face it – you’re kind of a low-key, geeky dude and not many people would assume you’re a ripping musician, performer and a frothing surfer… How did you get into surfing and music making in the first place? I grew up playing a bunch of instruments, and then stopped playing them after school. I was studying Information Systems at UCT. I still loved music, and I really loved what the African Dope guys, Roach, Fletcher, The Blunted Stuntman etc. were doing. So I got some turntables and my friend Kevin I would just spend hours mixing on them. It just kind of went from playing in a bedroom, to playing at a house party, to venues, to working with more guys, to producing an album, and finally being forced to play an instrument again by my friends. 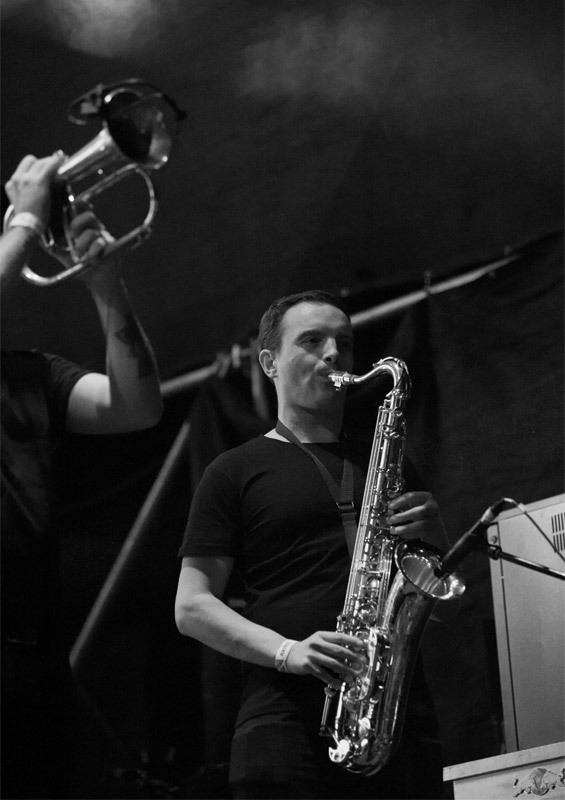 It took ten years to go from playing sax to… playing a sax again. On the surfing front, I guess I kind of always loved the water since I was a little kid. I lived in Grahamstown though so could only get to surf about once a week. So I was a kook, I am still a kook and will always be a kook. When I moved to Cape Town after school, I didn’t surf at all. I just stopped, “cos the water was cold”. Then when I was about 27 I realised I was pretty unhappy with life, super unhealthy and needed to change something. So I got over the cold water, and now, surfing is something I can’t live without. 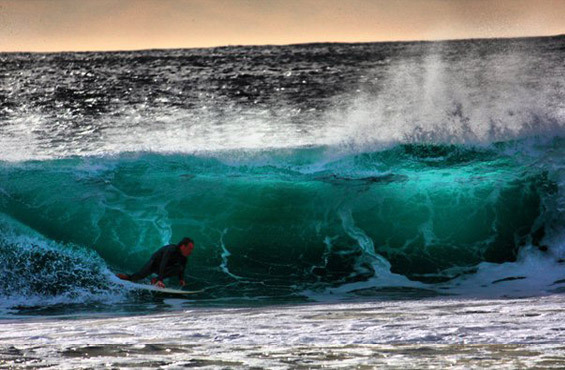 Zigzag: Where is your favourite surf spot in South Africa (or the world)? And how do Durban / KZN waves compare? This is going to sound silly but I love Nature’s Valley when it’s glassy and the banks are good. It can be so beautiful out there in the early morning. I also dig the west coast on those really clear autumn days when there’s not a lot of wind and good swell around. KZN waves, I haven’t really had a chance to surf ever. I think I got one session in when we were up here on a tour about seven years ago. Every time we’ve gone up there for a show since, it has been late on a Friday or Saturday and back out the next morning. Zigzag: What’s it like touring the country/world to cooking surf spots and not being able to surf because of a rigid touring schedule where even your pee’s are planned? Do you just die a little inside, or do you ever call in sick to catch a sneaky surf? I have kind of resigned myself to the fact that I probably won’t get to surf when we go in to play at a place! Anyone who has gone touring will tell you that stuff never ever goes as planned, and most of the time, it wasn’t really planned in the first place. On tour, planning time is difficult enough but there are also two things that are a complete mission to travel with: musical instruments and boards. Touring and just managing the one can often be quite enough of a challenge. Zigzag: Are there any synergies between surfing and the music you make? How do the two compliment each other, if at all? Zigzag: Does making music make you a better surfer or does surfing make you a better music maker? Surfing really helps you to de-stress from everything. I write software for a living, and I can’t tell you the number of times I’ve been bashing my head against a problem, run off, jumped in the water, and suddenly thought of the answer whilst not at a keyboard. So, surfing definitely helps with music. Zigzag: Renowned SA surfer Bugs Heathcote, is known for playing his ukelele on his board, in the barrel – what are your thoughts on taking music to the tube? Are we on to some new surf-music genre here? 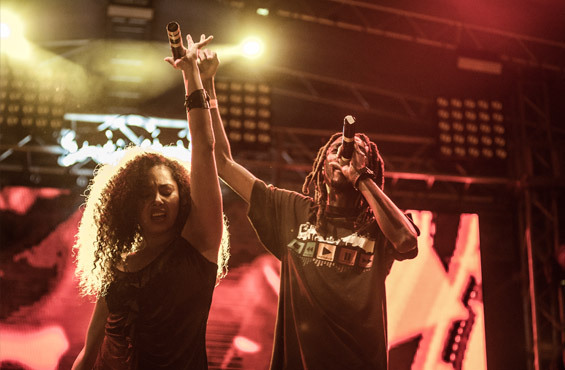 Zigzag: For you, what makes Zakifo Muzik Festival appealing to surfers and those into beach culture? It’s run by people who love music from the bottom of their souls, who come from a surfing island, la Reunion where your whole life is based around the ocean. The lineup is diverse, it’s got a blend and fusion of acts that you won’t see anywhere else in this country. The whole festival is put together by people whose whole lives are based around that culture: the ocean, surfing, good music. 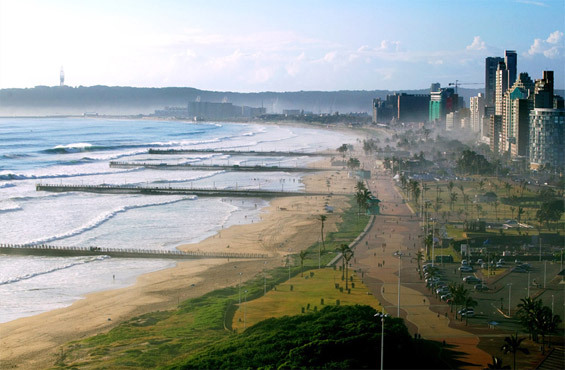 I think Durban is so so lucky to get to have something like this. Zigzag: What or who are you looking forward to the most at Zakifo this year? Warm weather, winter waves, the bunny’s or the bongos? The acts, the acts the acts. They are incredible. You have Blitz the Ambassador from Ghana, who is one of the best hip hop / funk / soul / I don’t know what genre I have heard in the last four years. You have Maya Kamaty, an incredible Maloya singer from la Reunion. 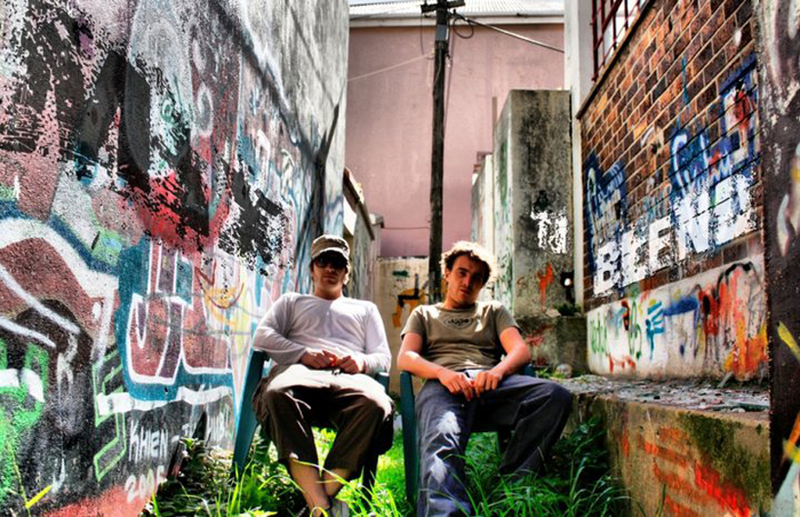 You want reggae and ska, you have The Rudimentals. You also have the Brother Moves On, one of the best bands in the country. Vusi Mahlasela, Sibot, Tresor, Aking, Kwesta… I’m just so excited I get to check it all out. The fact that’s it’s set in Durban, with all the beauty it has, is pretty damn cool too. Zigzag: Any pearls of wisdom about surfing, music, barrels or beats? I guess to just keep reminding yourself that it’s always about having fun, and to not let feeling that you’re not good at something or you can’t do something get in the way of that. Kids never care about that stuff and that’s why they’re always learning! I’m never going to be the best surfer, I’m never going to be the best musician. But that’s not why I do either of those things. Sean Ou Tim, from Max Normal kind of showed me that when I was 18. He’s done everything, been everywhere and could really be wrapped up in what he’s achieved. But he’s the most enthusiastic nerd I’ve ever met, he treats everyone the same no matter who they are – and he has fun. I hope I never lose sight of that kind of headspace. 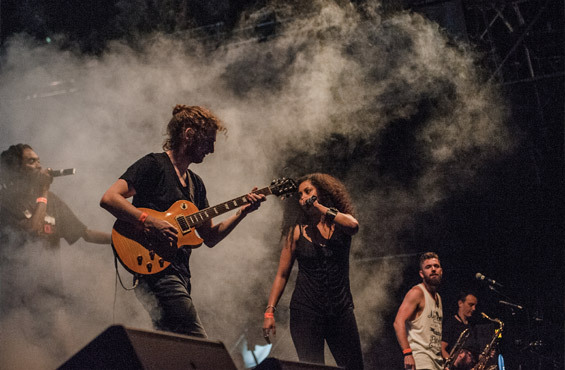 Catch Mix ‘n Blend having fun on stage or in the surf at Zakifo Muzik Festival 2016. Details below. 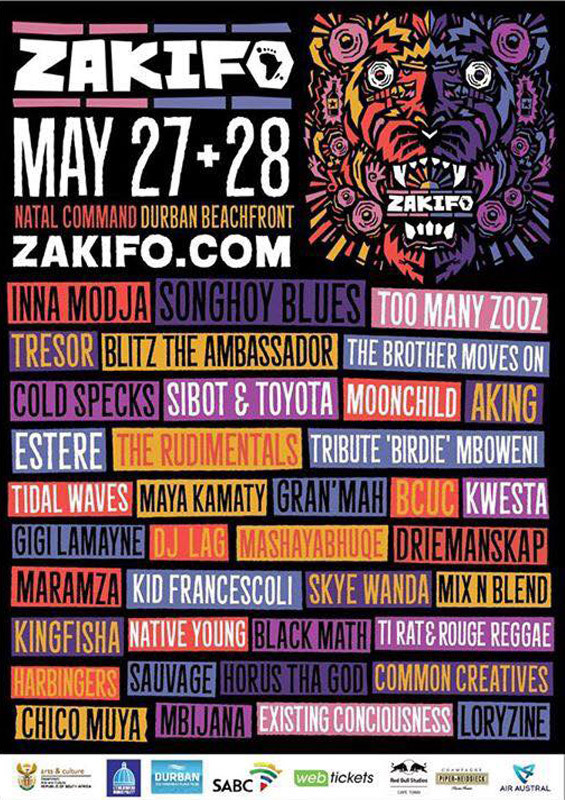 Get your tickets to Zakifo shap shap HERE. Check out the Zakifo website here. Like the Zakifo Muzik Festival Facebook community here. Check out the Zakifo Monday Mixtape here and the women firing up Zakifo 2016 here. **Please note: this interview has been edited for brevity / clarity / style.